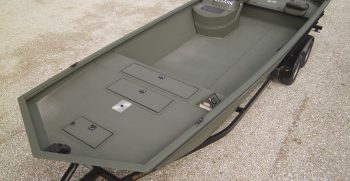 The FX 2472 Dlx SC model feature wide bottom and beam width to provide more than adequate room for people, gear or just moving around in. 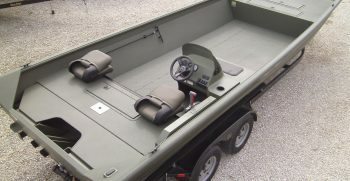 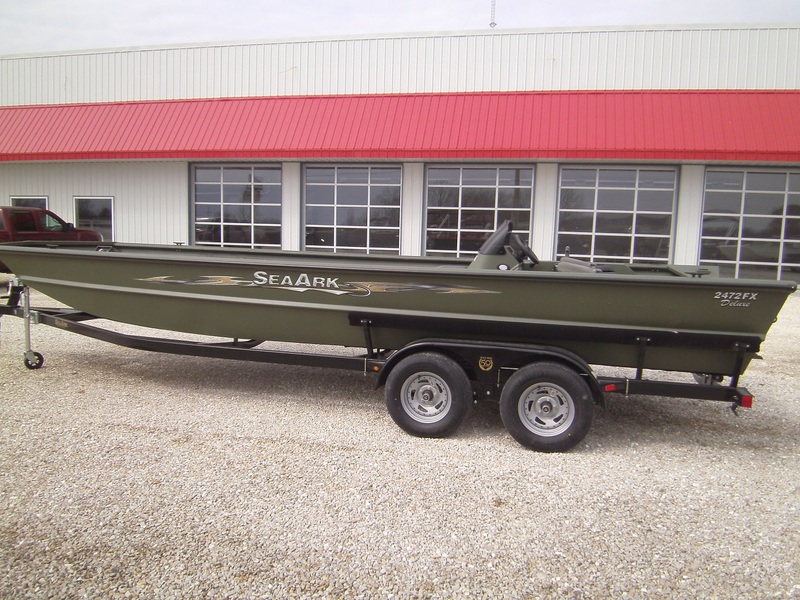 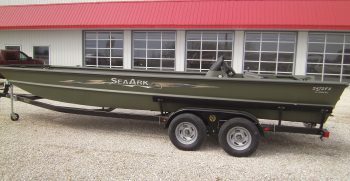 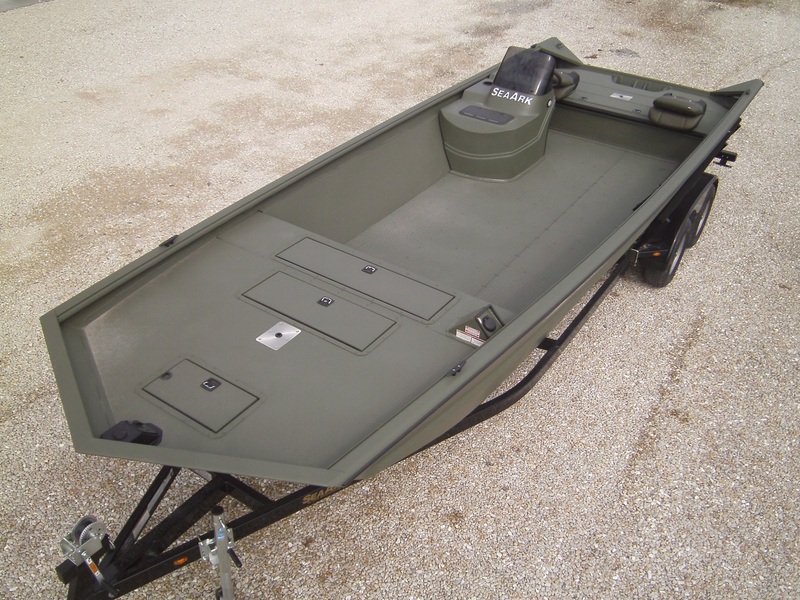 It feature the basics of livewells, storage, bilge pump, navigation lights, a .125 gauge all-welded construction and .125 gauge treadplate floor. 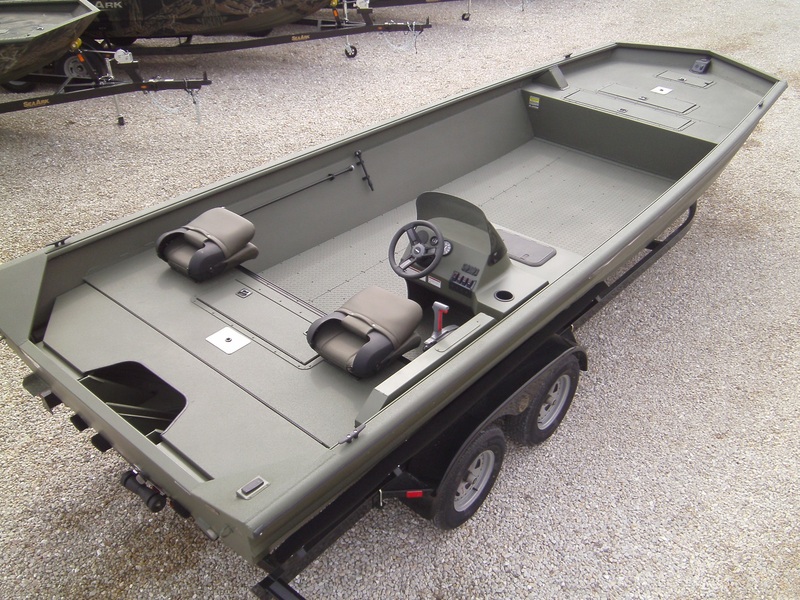 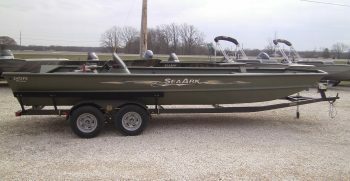 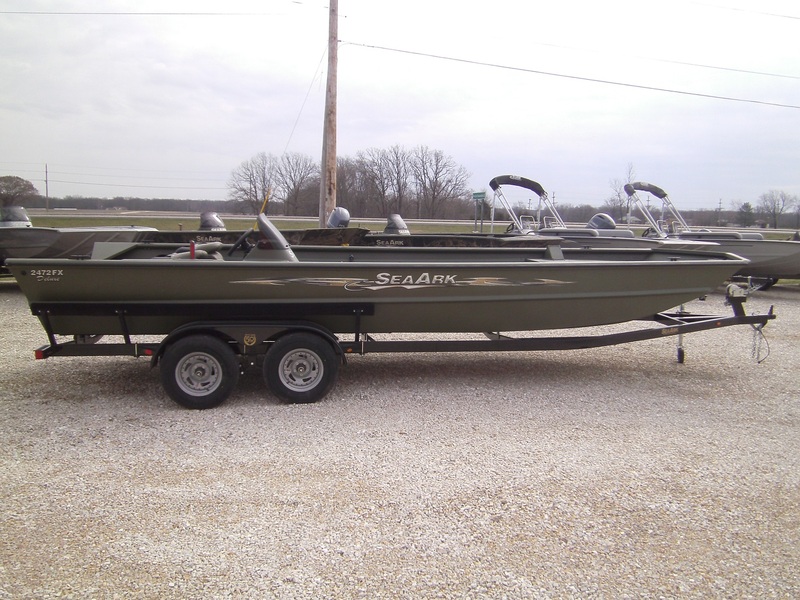 This one has the Linex spray in liner, 36 gallon bow fuel tank, a 40 gallon rear livewell, and passenger seating installed on the rear deck.